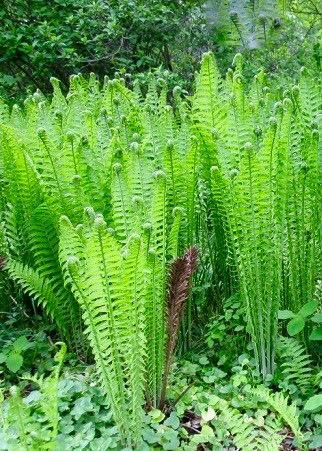 Hardy deciduous shuttlecock like rosettes of unfurling upright lance shaped bright green fronds, May to October. Semi shade to shade. 1m tall. Neutral to acid moist soil.